Ng, K-y. S., & Gu, Y. (2016). 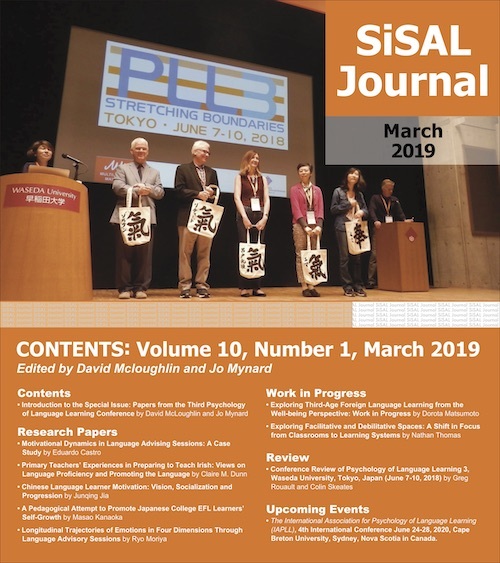 Balancing competing needs among stakeholders: Lessons from the Self-access Language Learning Centre (SALL) of the Chinese University of Hong Kong (Shenzhen). Studies in Self-Access Learning Journal, 7(1), 46-55. The Chinese University of Hong Kong (Shenzhen), referred to as ‘University’ or ‘CUHK(SZ)’ hereafter, is a newly established private university located in the Longgong District of Shenzhen, which is a special economic zone in the southern part of China. Its first batch of about 300 undergraduate freshmen, all majoring in Business Administration, commenced studies in September 2014. The Self-access Language Learning Centre (‘SALL’ or ‘the Centre’ hereafter), as a unit under the School of Humanities and Social Sciences (SHSS), was put into trial operation from 6th March to 4th June 2015 to explore students’ needs and preferences in self-access English language learning. The purpose of this progress summary is to delineate and analyze the trial operation. It is divided into two major sections. The first section is a brief description of the 3-month trial operation and evaluation whereas the second section details recommendations for the future development of the SALL and other self-access centres also needing to address conflicting needs among stakeholders. The Chinese University of Hong Kong (Shenzhen), referred to as ‘University’ or ‘CUHK(SZ)’ hereafter, is a newly established private university located in the Longgong District of Shenzhen, which is a special economic zone in the southern part of China. Its first batch of about 300 undergraduate freshmen, all majoring in Business Administration, commenced studies in September 2014. The Self-access Language Learning Centre (‘SALL’ or ‘the Centre’ hereafter), as a unit under the School of Humanities and Social Sciences (SHSS), was put into trial operation from 6th March to 4th June 2015 to explore students’ needs and preferences in self-access English language learning. The trial operation was conducted by an Acting Director who concurrently served as the lecturer. By that time, she had had ten years of experience in teaching and researching in tertiary education and had been involved in the maintenance of two university self-access centres (SAC) in Hong Kong. The purpose of this progress paper is to delineate and analyze the trial operation, focusing on insights gained from balancing the University’s and learners’ competing needs. It is divided into two major sections. The first section is a brief description of the 3-month trial operation and evaluation whereas the second section details recommendations for the future development of the SALL and other SACs. The SALL adopted a two-pronged approach, responding actively to students’ genuine concerns while incorporating requests from lecturers on the formal English curriculum and the University management. When the Acting Director was first invited to establish a SAC, she met with the Dean of the SHSS, who delivered the University’s expectations for the centre and summarized her and the English lecturers’ observations of students’ weaknesses in English, which comprised almost all academic English skills, ranging from listening to lectures to academic reading, writing and presentation skills. Resolute on making the SALL truly student-focused and an attractive learning space while respecting the University’s expectations, the Acting Director gauged student needs through multiple means including random interviews with participants after almost every SALL activity and with students in the canteen during lunchtime, student evaluations, and an online questionnaire. This section describes the Centre’s initial objectives, rationale and reception of its activities. The activities should be interactive and communicative in nature, but at the same time as individualised as possible. Many students suggested there was a lack of an English speaking atmosphere outside of lecture halls. According to some students, despite their effort to speak in English in their daily life, the English speaking atmosphere was so weak that their motivation and practice could hardly be sustained. Even though there were English clubs, a number of them had been inactive or even dissolved after the first semester, which limited students’ exposure to the language. Students showed deep concerns about their ability to interact in English, with many showing doubts whether their pronunciation was accurate. They mentioned that while pronunciation was assessed in presentations and seminars in their English classes, they did not know which particular sounds or areas they should focus on in their independent learning. Many students reported having to translate Chinese into English rather than conceiving ideas directly in English. They were anxious to know how to activate their vocabulary or recall words that could aptly deliver their thoughts. In connection with the above principles and concerns, the Centre devised two types of activities, namely workshops and individual consultations, as detailed in Table 1. The former type is aimed at generating interaction, while the latter catering to individualised needs, an equally important characteristic of self-access learning (Morrison, 2008). Table 2, below, shows the enrollment statistics of the trial period. The enrollment rates in different activities were more than satisfactory, with one in ten students attending at least one individual consultation or workshop within only three months. It is worth-noting, however, that only one out of the eleven referred students responded and attended all of the ten referral lessons despite their lecturers’ strong and repeated recommendations. The SALL’s activities were all well-received as concluded from three sources, namely participant feedback forms (n=97), informal interviews with students, and a survey about the future development of the SALL (n=39). As seen in Table 3 below, all participants felt satisfied with the SALL’s activities. As shown in Table 4, many students wished to have more workshops, to have time to practice in each workshop, and to have more resources for self-study. Variety appears to be another major concern in terms of both content and difficulty level. Similar to the findings for the workshops, some students expressed wishes for more and longer individual consultations. It was also suggested that the Centre gauge students’ progress over time. Overall, the enrollment and student feedback both revealed that many students were keen to have more structured, sustainable and informal English exposure outside the formal curriculum. Considering students’ self-perceived needs, as well as the fact that students mostly had been passive learners in high school because of public examinations, the SALL needs to position itself to be a supporting but independent unit that rigorously promotes active use of English primarily and initially through activities geared towards improving students’ speaking and listening. While the formal aspects of English cannot be ignored considering the University’s educational philosophy and its mission to develop bilingual competency in students, room needs to be created to allow for growth of learner autonomy in terms of both the ideology and self-regulation strategies. To promote students’ ownership of the Centre, their use of English, and learner autonomy (as in Heigham, 2011, Malcolm, 2011, and Navarro, 2014), apart from giving workshops and consultations, the Centre could recruit a volunteer team comprising students who are keen to help out with daily administration and maintenance of the SALL’s resources. The benefit is mutual; students will have more exposure to English as they will be required to interact in English at the SALL while providing the SALL with a greater human resource. Another suggestion is to invite guest speakers to talk on an array of topics about English learning, world Englishes and cultures, as an answer to diversifying the types of workshops available. This progress report records the preliminary conceptions of a self-access language learning centre for CUHK(SZ). The highly positive student responses confirm that the SALL is steered in the right direction. Questions remain to be answered, however, as to how students’ self-perceived needs should be balanced with the University’s and society’s expectations of university students’ language abilities. After all, while the informal curriculum that the SALL has implemented is aimed at perpetuating students’ motivation and abilities in English learning, it has to consider the public’s expectation of the first international university in Shenzhen. Should the SALL, given its less structured and informal nature, take a peripheral role in the English curriculum or a more integral, if not central one? Should the SALL be promoted as a centre that provides supplementary classes to weak students referred by their English classes, or should it adhere strictly to learner autonomy, serving only those who are motivated enough to make the extra effort to enroll in SALL activities? These questions are not only relevant to the SALL of the CUHK(SZ) or any newly founded SACs, but also to, perhaps even more complexly so, well-established ones. The data of this pilot study corroborate Gardner and Miller’s (2011) findings that one of the important roles of an SAC manager is to negotiate and balance the conflicting concerns of different stakeholders during the establishment and maintenance of the centre. Two possible solutions can be concluded from this piloting study. First, it is possible to address various parties’ concerns in a staged manner; for example, the Acting Director chose to be student-focused, designing activities based mostly on students’ preferences in an attempt to boost registration and build the SALL’s reputation on campus. She was highly aware, meanwhile, that the next stage would see the introduction of more academic-driven workshops that would comply more with the academic curriculum of the University. Another possible approach would require the SALL manager’s passion and expertise to weave independent learning components into activities which might otherwise be rather didactic, such as phonetic drills, for example. In this regard, the Acting Director consciously built in a self-directed learning plan for the referral class in the hope to enhance the one enrolled student’s self-monitoring ability. It was very fortunate that the management of CUHK(SZ) was highly accommodating and trusting of the Acting Director, giving her ample room to investigate the best way to orchestrate different stakeholders’ needs and to gauge learners’ needs, both of which are determiners of success of an SAC (Gardner & Miller, 2011; Morrison, 2008). The task is not easy, however, on the part of the centre manager, who must answer needs of stakeholders who differ in interests, cultures, ages, academic backgrounds, which gives rise to various perceptions of the functions of an SAC. To enhance recognition of SACs among not only students but also schools and society at large, research is needed to ascertain effective ways to assimilate the needs of stakeholders. More also needs to be known about the degrees and nature of influence of a university’s management style on an SAC. Kwan-yee Sarah Ng is a lecturer at the English Language Teaching Unit of the Chinese University of Hong Kong (CUHK). Formerly she served as the Acting Director at the Self-access Language Learning Centre (SALL) of CUHK (Shenzhen). Professor Yang Gu is currently Dean of the School of Humanities and Social Science, CUHK (Shenzhen). In 1992-2012, she taught linguistics at CUHK as Assistant Professor, Associate Professor and Professor. She is on the editorial board of Journal of Modern Foreign Languages and Journal of Contemporary Linguistics. Hughes, R. (2002). Teaching and researching speaking. Harlow, UK: Longman.